ET News/Pop Culture topics include: David S. Pumpkins, Miss Piggy & Kermit’s relationship woes, Timberlake at the Super Bowl, RIP Tom Petty & Hugh Hefner and much more. 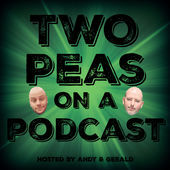 Find our featured ‘Pod Friend of the Week’ on Twitter @MGTPodcast and on PodBean HERE. Reach out to your local Congress-person to voice your stance on gun control. Please visit the US Congress website HERE, find your local represenative and speak up! “Runnin’ Down a Dream” by Tom Petty. 1989 MCA Records. All Rights Reserved. “Learning to Fly” by Tom Petty & the Heartbreakers. 1991 MCA Records. All Rights Reserved. “Empty” by Ray LaMontagne. 2006 RCA Records. All Rights Reserved.